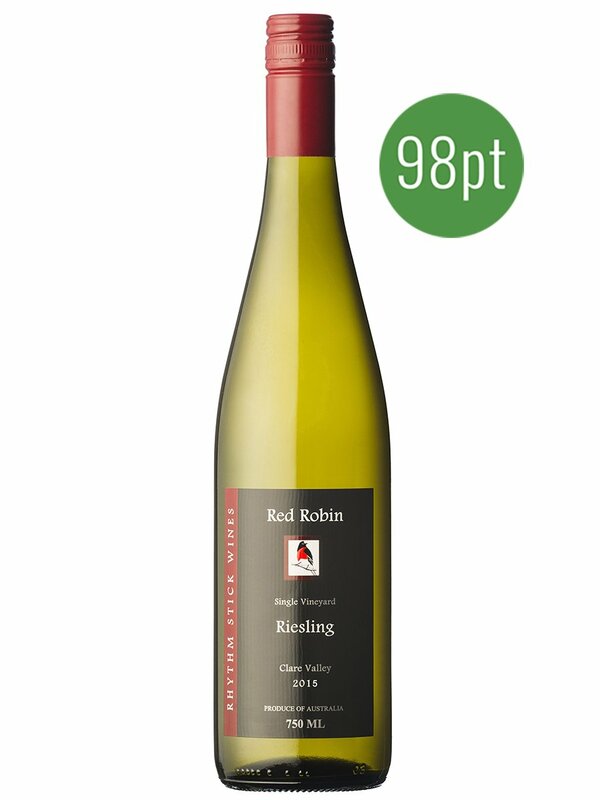 The Riesling fruit is from their boutique “Henry Ely” Vineyard, sited 420 metres above sea level at Penwortham in the heart of the Clare Valley. The vineyard gently slopes to the West and is tucked between two of the Valleys famous North/South hill ranges. As a consequence the vineyard receives early shading from the afternoon summer sun and the impressive fertile soils enjoy very good rainfall capture and storage into underground perched aquifers. Their totally dry grown fruit flourishes across all vintage seasons including periods of extended dry weather. The vineyard soil is neutral pH with a structure consisting of a mixture of Terra Rossa soils, sections of friable brown loams and patches of dark chocolate clay. The vineyard sits on a mixture of reef structures; sandstone, slate and limestone. Selected mid row summer green weed growth is encouraged to reduce canopy temperatures during peak summer. The vines are hand pruned in winter with a concentrated, summer hand pruning and canopy management regime to ensure fruit bunch protection from any flavour damaging peak summer, UV rays.